Relevant and well-optimized content remains a top ranking factor. But what happens when you take optimization too far? 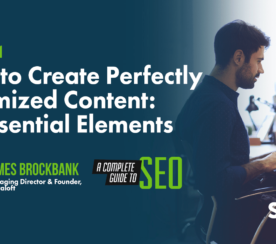 Over-optimization can prevent your audience from seeing the value of your content – and it can negatively impact your organic search rankings. First, you must realize your SEO mistakes. Admit you have an issue, and it’s name is over-optimized content. Then, you have to come up with a content deoptimization plan. Ready for a solution that works? I’ve done the dirty work and created some recommendations for over-optimization, based on successful SEO practices. Let’s dig into the deoptimization process so you don’t get slapped by Penguin or Panda. The first thing you have to do in a re-optimizing process is to find your over-optimized content. Keyword-rich anchor text for internal links. Run a website audit to find your lowest performing content. Low-value content is any content that failed to drive significant traffic or attract any natural links and that could result in a manual action (a.k.a., penalty) for not complying with Google’s Webmaster Guidelines. 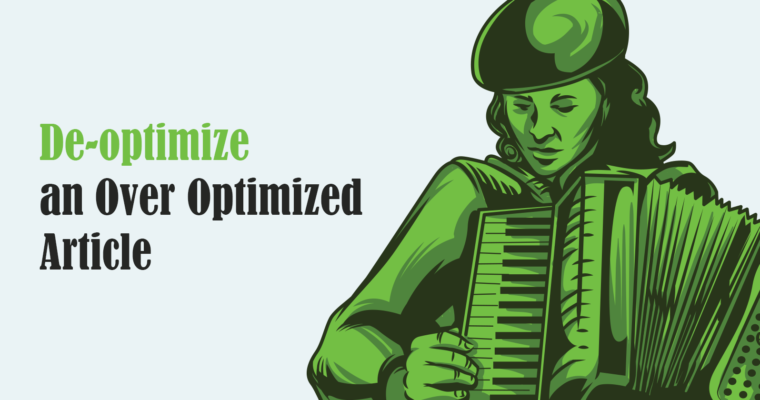 After that, you’ll see where you’re standing: you either have over-optimized content or you don’t. If you’re in the second category you’re lucky; if you’re in the first group, however, you have some work to do. It’s time to kill the SEO overkill. After you spotted your over-optimized content, you need to analyze it to know what future actions you can take. Analyzing your content can be an overwhelming process, and it might take you months. It can be like looking for a needle in a haystack. Yet, you can shorten the process if you have the right tools. Make a list of the content that needs to be “fixed” and the main keywords you’re targeting for each individual piece. Add columns for performing score and additional information. With this file, you’ll have a better view of your work and your evolution. Do some keyword research for each piece of content so you can choose the best performing keywords for your website. Let’s look at an actual example of over-optimization. 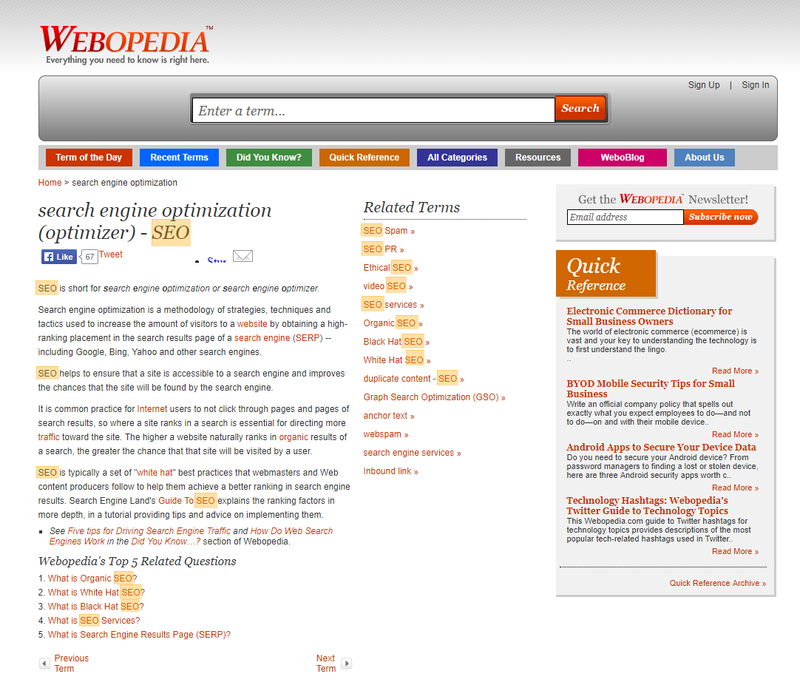 On May 19, 2014, Webopedia was hit by Google Panda 4.0 for having thin content and stuffed keywords (among other reasons). As a result of the Panda update, the website lost rankings for many keyword phrases. If you look at a piece of content about SEO from the website, you’ll see a clear example of keyword stuffing. SEO is a broad topic covered by a small blog post. Even though the related terms sections and the bottom questions aren’t a part of the article, per se, Google takes them into consideration. Basically, if you have relevant content on that page, Google will make a strong connection with it. Otherwise, if you have deceptive ads, stuffed keywords, your content might experience ranking drops. 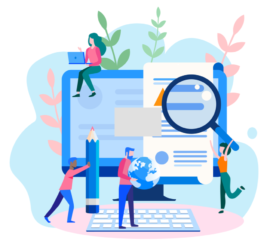 If we were to analyze that content, we would see it has a low content performance, stuffed keywords, and little content. The cure for over-optimization is simple. 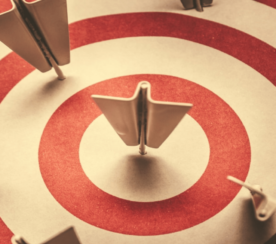 From now on, you have to recreate your content marketing strategies to focus on your relevant topic of choice while following Google’s guidelines. Let’s say you have conducted a re-optimization process and now you want to improve your content. Redirect the content that is outdated (the information is no longer available, or for some other reasons, you don’t think that content should be live anymore) to better content already on your website. Redirecting the content saves you from providing a bad user experience and it should keep users engaged longer on your website. Re-optimize your content following Google’s Quality Guidelines. Improve your existing content until it is legitimately better than the top ranked result. Following one or a combination of both options will keep your website clean and neat, free of irrelevant content. Getting rid of any unnecessary content that isn’t performing is especially important for larger websites. It’s almost a certainty that established, larger websites have published low-quality content at some point during their existence. 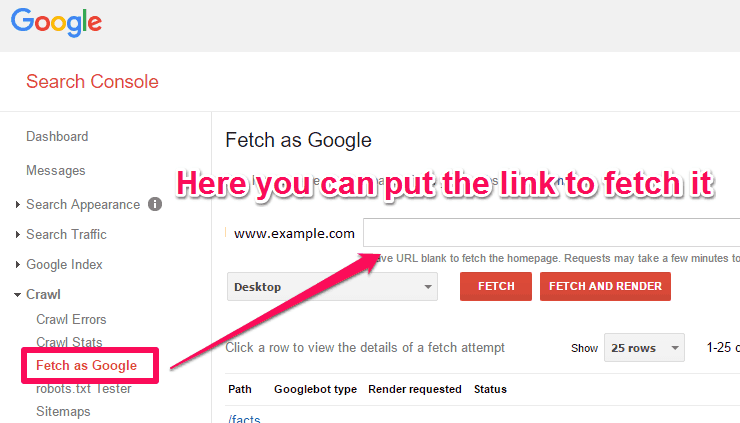 After you’ve deoptimized and improved the content, check it by using Fetch as Google. Using this tool directly from your Search Console account will help Google show the most accurate information from your website and can help you move up in the SERPs. On top of that, your content will be indexed faster. If you have a large number of URLs to submit, submit a sitemap instead. It’s easier, and the response time is similar. Until now, Google hasn’t set a specific period of time to crawl and index a website and it never will because these processes take time and they’ll never know what they’ll encounter on a site. The sure thing is that Googlebot will look at a site’s indexing in Google Search Console. For that, make sure that you have both the “www” and the “non-www” versions verified and set a preferred domain. The final item on your list of optimization is tracking your keywords on the search engines. One way to track your growth is by using the file created for your content audit. You can add information and manual review your rankings. Alternatively, you could use a rank checking tool. Falling into the over-optimization trap is SEO overkill from the start. This “shortcut” actually can be quite damaging to your revenue, especially if you use your website to sell products or services. Over-optimization can be detected by Google’s algorithms (Panda or Penguin) or, even worse, trigger a manual action. The algorithm changes can spot your website, and I bet you do not want to get into Google’ sight. Don’t be a target. Look for over optimization signs, target keywords that are relevant, analyze your website, spot the content that needs improvements, use the tools that can help you create curate content, link it to other internal pages, set it in motion and send it to Google to recrawl it. Then repeat the steps, and so on. Following these SEO tactics is the key to success. Featured Image: Created by Razvan Gavrilas, July 2017. In-post Images: Screenshots by Razvan Gavrilas. Taken July 2017.